Heartburn is a common gastrointestinal tract disorder triggered due to the reflux of acid from the stomach to the oesophagus. It is usually characterized by a painful burning sensation in the chest and has nothing to do with the heart, contrary to its name. It is caused usually due to poor diet and lifestyle which is a cause of relaxation of the lower oesophageal sphincter that gives way to the acid to backflow. A severe form of heartburn is called gastro oesophageal reflux disease which can occur if low-level heartburn is ignored for a long time. Angelica is a genus of herbs which contains more than 60 species of medicinal plants. Many of these species have long been used in traditional medicines, especially in the east. Various herbal preparations of angelica are available over the counter for various disorders like inflammation, gastrointestinal tract complaints, ulcers, cold, flu, hepatitis, arthritis, bronchitis, typhoid, fever, colic, travel sickness, rheumatism, bacterial and fungal infections of the urinary tract. There are various active components in each part of the angelica plant, each unique to its species. These active compounds include coumarins, acetylenic compounds, chalcones, and polysaccharides. Recent studies have shown that Angelica may also possess anti-tumor activity and thus is a potential herbal medicine against cancer. Traditionally, angelica roots have been used for various herbal preparations including powders, tablets, and teas to be taken in case of any kind of gastric disorders. It has been known to reduce indigestion and increase the strength of the gut for better passage and assimilation of food. 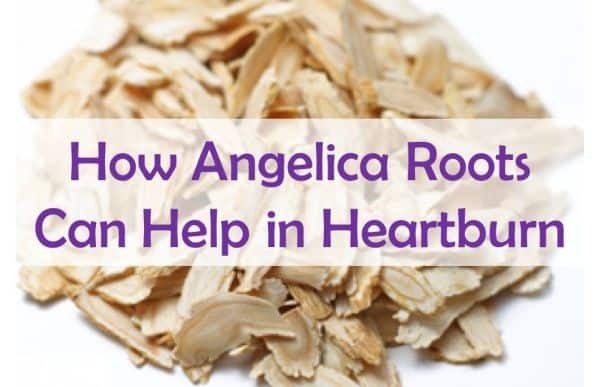 There are several ways by which angelica roots might prevent or reduce heartburn. Several studies on herbal preparations have indicated that a mixture containing angelica roots of the species Angelica acrhangelica sufficiently reduces the symptoms of dyspepsia or indigestion. Besides angelica roots as one of the major ingredients, the mixture also contains other bitter herbs like caraway fruit, liquorice, and ginger among many others. Indigestion is one of the major causes of heartburn as it increases the retention time of food in the stomach and reduces the pressure of lower oesophageal sphincter, thereby increasing the chances of relaxation of the sphincter muscle and reflux of acid causing heartburn. In heartburn, the main cause of the painful burning sensation is the inflammation, which occurs in the oesophagus due to excessive and prolonged exposure of the gut wall to stomach acid. In a study where the researchers extracted and quantified the active components of angelica roots of the species Angelica pubescens, it was shown that these components have anti-inflammatory effects as well as analgesic effects, meaning that they not only reduce inflammation but also clear out pain caused due to it. 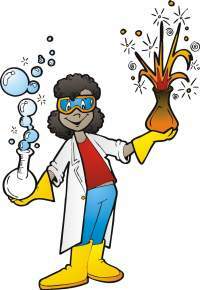 It has been hypothesized that these active components (columbianadin, xanthotoxin and umbelliferone etc.) work by influencing the central nervous system to reduce the inflammation and pain. Due to the damage of the mucosal membrane of the oesophageal wall by acid exposure, ulceration occurs which activates damage induced reactive oxygen species. These reactive oxygen species attack the damaged area and cause tissue death, exacerbating the disorder. Many natural compounds including angelica roots show innate anti-oxidant activity which means that they can counteract these reactive oxygen species and control the damage. In a study involving angelica root extracts, the polysaccharide components of the extract were shown to have antioxidant activity. A polysaccharide called ADP4 was found to have a most effective response against the harmfully active HO radicals and it also inhibited lipid peroxidation. The study also demonstrated that polysaccharides from angelica roots had a higher anti-oxidant activity that Vitamin E, a well known anti-oxidant. All these results establish angelica as a potential heartburn healing supplement which works to reduce the reactive oxygen-mediated tissue damage in the gut. Due to a high amount of acid exposure, the mucous membrane of the gut wall is highly susceptible to damage and erosion, the cause of all the physiological symptoms of heartburn. Angelica roots have been shown to exert protective effects on the gut wall in a study done on rats. It was demonstrated in the study that angelica roots contain polysaccharides, previously mentioned to have antioxidant effects and these polysaccharides help control the damage to the mucosa by inhibiting the inflammatory neutrophils. Angelica roots work in a dose-dependent manner to protect the gastric mucosa from acid-induced damage and thus can be considered a useful medication to prevent and heal heartburn. Gastric motility is an important phenomenon for gastrointestinal functions and proper gastric motility ensures better digestion. It is also directly related to the retention time of food in the stomach and the probability of the incidence of acid reflux. Poor and stressful gastric motility increases the chances of dyspepsia and thus heartburn. In a trial on STW5, a commercial herbal preparation containing several herbs including angelica roots as one of the major component, it was shown that it relaxes the stomach and thus promotes digestion, reducing the chances of reflux and its symptoms. Ulcers are the result of excessive acid exposure of the gut wall and lead to chronic inflammation and pain. An active ingredient from angelica roots called bisabolangelone has been found to have potent anti ulcerative activities. It was found to provide a therapeutic and protective effect on the gut wall by reducing the secretion of hydrogen ions (protons) and inhibiting the activity of the cellular pumps that release more protons which make the environment more acidic and cause ulceration. Since angelica is scientifically a poorly studied herb, there are virtually no researched doses available for it regarding heartburn. However, several over the counter preparations are widely available in the pharmacies across the world which can be taken. Angelica roots in the market are available as a powder or tablet forms. Whole roots can also be purchased to make homemade medicinal preparations and food items. Traditionally, an infusion of angelica is made by pouring a pint of hot boiling water over a clean bruised root and leaving the essence to seep out of the root. This can be given two tablespoons twice or thrice a day depending on the extent of reflux complaint. Alternatively, the root powder can be given in doses of 10-30 grains a day. For herbal tea, angelica roots, caraway fruit, fennel seeds, celandine, chamomile, licorice and lemon balm along with other bitter herbs can be boiled and strained. This tea, mixed with honey as a sweetener can be taken every morning to keep the gut healthy and to prevent or heal acid reflux. A commercial preparation for heartburn and dyspepsia called STW is available in the market and its dosage is instructed on the label, which varies according to the manufacturer. It contains a mixture of nine herbs (bitter candytuft, angelica roots, peppermint, caraway fruit, celandine, lemon balm, milk thistle, chamomile, and licorice) and is sold as syrup. Angelica consumption during pregnancy and breastfeeding is not well studied and might cause side effects, which is why it is always better to be on the safer side and avoid its consumption during such time. If necessary, a doctor should be consulted before administration and any kind of discomfort after consumption should be immediately reported. Similar to pregnancy, its interactions with other drugs and herbal supplements are poorly studied and it is advised to stay away from any kind of danger in case of even the smallest doubt regarding its dosage and consumption. There are no known side effects of angelica roots, except that they may cause dermatitis to some allergic people. Its consumption might also cause hypersensitivity in people already allergic to bitter herbs. Precautionary measures should always be taken while consuming poorly studied herbal over the counter supplements and a doctor should be consulted before taking them to avoid any future discomfort. Angelica roots have been popular for their use in traditional medicine and are known to relieve functional gastrointestinal problems including heartburn. Their extract and tea are the most consumed preparations which are known to heal the gut and keep the digestion on track. However, this is not a well-studied supplement and might cause sudden unexpected problems in case of wrong dosage or interactions with other medications, food items or herbs. To avoid such discomforts, its dose should always be discussed with a medical practitioner and should be handled with precaution. Obesity and Heartburn - How are they Related? Can Wormwood Help in Heartburn? Can Almonds Help in Heartburn?